As Bitcoin Fees Soar, Should You Invest Elsewhere? When most people talk about Bitcoin, they instantly think about the riches that many have accumulated in 2017. However, recently something not nearly as glamorous has been skyrocketing: the cost of the average fee for getting a transaction processed on the blockchain. A week ago, the price of an average fee was $6. Many already felt that this sum was too high. On Friday, however, the average cost of a transaction fee suddenly jumped to $26. By Sunday, it had settled down at $20 - an amount that is still monstrously high. For people wanting to use Bitcoins to make a purchase, those fees could become prohibitive. The good news is that, despite all the hoopla about fees, people don't have to pay $20 to have a transaction processed. This is because the reason behind those high Bitcoin fees is the amount of time it takes to process a transaction. The Bitcoin blockchain can only process one block every 8.8 minutes. That equates to around ten transactions per second. The problem is that, nowadays, there are anything between 80,000 to 120,000 transactions waiting in the queue. People who have a non-important transfer can elect to pay a smaller fee. However, the smallest fee that is likely to get through the system at the moment is believed to be around $2.50. This is because the Bitcoin miners who process the transactions can select which transactions to process first. For obvious reasons, they prioritize transactions with larger fees. People who attach a smaller fee have to wait for a time of the day when the blockchain is less busy. However, it has become so busy that anything smaller than around $2.50 is likely to fail and get sent back after two weeks. Of course, the system is volatile and there are times when smaller fees may make it through. However, it becomes something of a lottery when smaller fees are involved. The general consensus is that a slightly larger fee should be attached to a larger transfer sum, to ensure it gets processed quickly. For those who want to use Bitcoins to pay for ordinary things, it is feared that fees could become massively problematic. After all, the value of Bitcoin as a commodity is directly linked to how useful it is. If Bitcoin’s value becomes solely about speculative investment, might investors begin to pull out? On Monday morning, one website was estimating that for a transaction to make it into the very next block, people should pay no less than $16.31. The same website claimed that to make it into one of the next six blocks (in other words for it to get processed within an hour), no less than $13.46 should be attached to the transaction. Those are rather exorbitant rates, which are already starting to impact Bitcoin’s liquidity. A slow blockchain that is being put under increasing pressure is creating a bidding war over the cost of fees. As the problem gets worse, the fees get higher. This is why many people had hoped Segregated Witness x2 (SegWit2x) would happen in November. The original Segwit happened in August and it did successfully increase network speeds. However, due to friction within the Bitcoin community, SegWit2x was canceled at the last minute. Despite the soaring price, the cracks in Bitcoin’s practicality as a currency are beginning to show. Last week, the online computer game vendor Steam decided to stop accepting Bitcoins. At that time, it cited "high fees and volatility" as its reasons for stopping accepting them. Steam started accepting Bitcoins in April 2017. At that time, a Bitcoin was worth around $1,400. As of today, Bitcoins are worth $17,000 dollars, a price that has been bolstered by the introduction of Bitcoin futures (derivatives trading). Despite the upward trend throughout 2017, warnings are still coming thick and fast that Bitcoin may be in a bubble. The big question for most investors is: what will make the bubble burst? The most likely thing to bring the price of Bitcoin tumbling back down is a surge of investment in a rival cryptocurrency. If lots of savvy investors decided to cash out of Bitcoin while it is high - to invest in an alternative digital coin that holds more promise - then we could see a secondary gold rush. If that did happen, more people would join the rush to get out of Bitcoin in favor of the alternative cryptocurrency, and we could see Bitcoin’s price reduce dramatically. In this kind of scenario, the Bitcoin bubble would simply be replaced by another bubble, which would remain bullish until a rival blockchain proved more alluring. So, are there any signs that this could happen? In short, yes. In recent weeks, IOTA, a cryptocurrency that has an improved blockchain (when compared to Bitcoin) has been growing in strength. 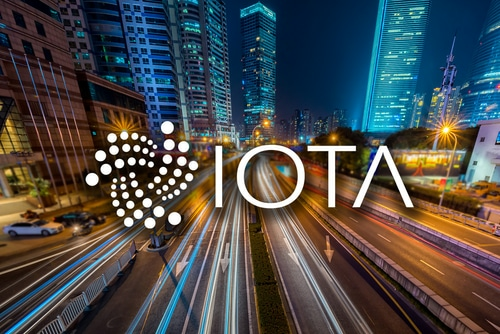 The IOTA network can be considered “blockchain 2.0” because it can handle much larger amounts of transactions per second (500 to 800). It does this by using a "tangle" to verify transactions on a continuous ledger. What’s more, transaction fees on the IOTA blockchain are free: an advantage that is bound to draw crypto-investors in. In the first week of December, the price of IOTA suddenly jumped by 90%, from $2.78 to $5.55. 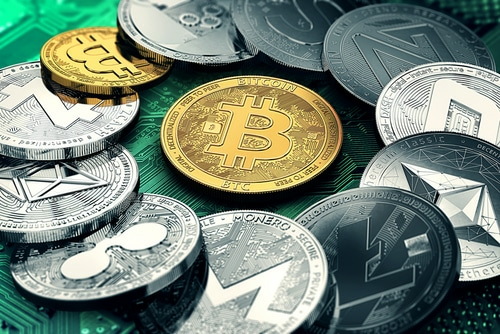 That equates to an increase of $12 billion in its market value and suddenly puts it at fourth-largest digital asset by market capitalization (overtaking Ripple). This sudden price jump came after the IOTA Foundation in Germany announced that it had partnered with tech firms such as Microsoft, Samsung, and Fujitsu on a blockchain-based marketplace that will permit them to sell data. For now, predicting that the next digital gold rush will “definitely be IOTA” would be a little premature. 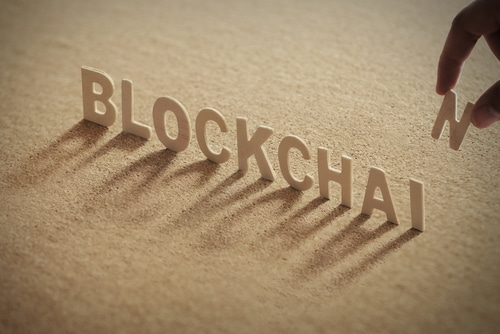 There are a number of promising cryptos around that have second generation blockchain technology improvements. Litecoin is another crypto that provides fast transaction rates and low fees (though at 56 transactions per second, it's still not as good as IOTA). It has experienced massive gains in 2017. EOS (currently in Initial Coin Offering stage) is yet another example of an altcoin that is promising to deliver massively high transaction rates per second. If EOS follows through on its promises, it will provide 50,000 transactions per second - and maybe even more. What does seem certain is that Bitcoin is getting cloggy (as it was always predicted to). This is only going to get worse unless something dramatic is done. At the very least, that clogginess ought to be a warning. As people rush to buy expensive Bitcoins in the vain hope of further gains, the practicality of that investment is becoming increasingly questionable. Opinions are the writer's own. Nothing in this article is intended as investment advice and should not be taken as such.